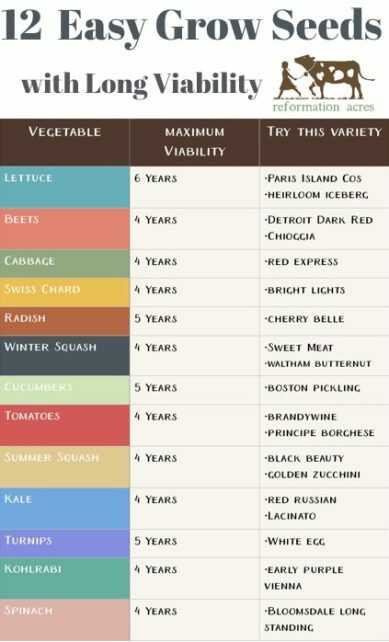 Wondering how long seeds last? These heirloom seeds have a long viability, so you don’t have to throw the packet away next year if you didn’t use them all. You won’t be gardening very long before you’ve got a fat stash of half-used seeds in packets with the tops rolled down, maybe all taped up in an effort to re-secure them. 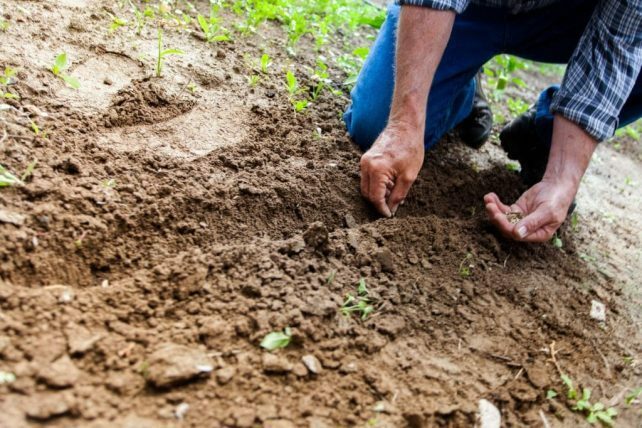 When you get to that point in your journey as a home gardener, it’s time to start thinking about their viability and hardiness. The sad fact is that packet of 250 onion seeds you only needed half of last year aren’t going to grow too well this year. Onion seeds only have a viability of about one year so a germination test will show a great deal that failed to sprout. Many, like green bean seeds, will last longer, about 2-3 years. But there are others that will last four years… or more! Knowing how long seeds last and will be viable for is vital when planning your seed purchases, cleaning up your inventory, and knowing how many to purchase. Before we dig into all the details about heirloom seeds, knowing where to purchase them is the first step. Not all Heirloom Seeds are created equal. We will cover the top companies who are dedicated to excellent quality yield and keeping the namesake history of the seeds. Companies that support the Safe Seed Pledge are committed to non-genetically modified seeds. This is a great place to start when vetting various companies to make sure they are genuinely non-GMO. With all of these companies, you can find their sites online and go from there, since they are scattered all through the country. This Iowa company deeply cares for keeping the history of heirloom seeds fully intact. Safe Savers Exchange is non-profit and focuses on the seed types of all kinds that immigrated families, preserving them and protecting them. This brand is a top favorite when it comes to non-GMO companies! This Californian company provides 100% certified and open-pollinated seeds of both hybrid and heirloom kinds. The company Mars bought them, but they are following suit in the organic brand trend. Because this is such a mainstream brand, you can go pick up seeds from Seeds of Change stores around the nation. If you are looking for an affordable option, Main has a great one for you. Fedco is a shared business. The employees own 60 percent, and the members own the other 40 percent. As a cooperative, the main purpose does not have to do with how much profit they can earn. 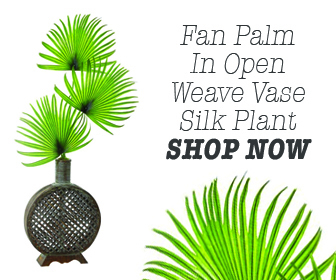 That means these seeds are affordable and on top of that, they have hundreds of various kinds! 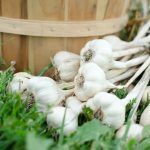 Their heirloom seeds are known for delicious produce and are perfect for the northeastern climate. It’s not a bad idea to use this knowledge as part of a crisis preparation plan. 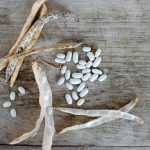 Seeds are inexpensive and buying some heirloom seeds with a long viability every four years or so specifically for the purpose of going into storage is wise. Hopefully, you’ll never need them, and they can be used and replaced at the end of that time. But it gives peace of mind knowing if there is anything that happens to your finances, the seed bank, the distribution channels, or our nation, you can at least count on eating well because you had the foresight to be prepared. Now, I am by no means a “prepper.” I know, I’m an odd-duck among odd-ducks, right? I had self-consciously decided to be optimistic because when I was worried about all of the “what-if’s” I was being ruled by fear, and it was causing depression over a “maybe.” Generally, instead of preparing in cache’s I prepare in skill-sets and knowledge, but having a supply of heirloom seeds is one of the areas I do have stockpiled. If I ever need them, I have them and can harvest the seeds each year so long as I need to for a continuous supply. Why not grow heirloom seeds all the time and not worry about it? For our family, I’ve learned (the hard way) that the ideology of feeding my family fresh, healthy, organic produce is more important than my ideology of growing 100% heirloom seeds. For years I tried with mixed success. There are reasons hybrid (note: not GMO’s- that’s different) seeds are used. 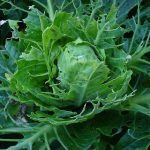 They can be more vigorous, hearty, disease resistant, and productive. During our year of market gardening, I learned that I could grow so much more per plant of larger, more quality produce by going hybrid. It literally means that my garden doesn’t have to take up as much room! So if an heirloom like jalapeño peppers grows well for me, I will use it, but if I can grow better vegetables, like bell peppers, from hybrids then it’s Ace for me all the way! These dates are suitable for all seeds regardless of being heirloom or hybrid. But if you plan to save your own seeds from one year to the next, they must be heirloom seeds to grow true to their variety. If you want to produce seeds with a long viability here are ten types that are easy to grow! I suggested some varieties for you to try that have done really well in my gardens! The first reasons we would suggest heirlooms over hybrids are taste and nutrition. Taste matters so much when it comes to growing produce, as you undoubtedly know. Flavor in hybrids is typically the first thing to go in the name of mass production. Some of the most well-known produce has seeds that breed a product meant to be grown and ripped off the vine as soon as possible. 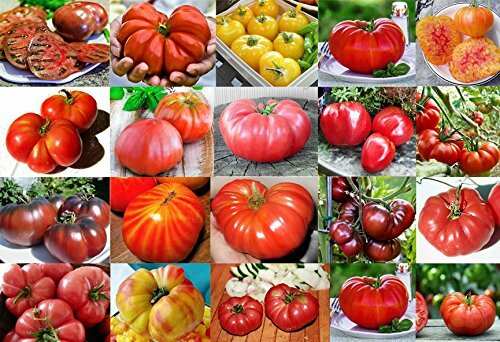 A lot of heirlooms have been saved for a long time and are intended for a specific market and grown in a particular setting. Typically, they are seeds that can sustain quite a beating while being transported over many miles. When it comes to gardening produce on a small farm or in a backyard, you don’t want the most valuable aspects (good nutritional value and yummy flavor) to be sacrificed for excess produce. A significant aspect of working with hybrid seeds is the level of yield produced. For the commercial grower, this is a major need. But for the homestead gardener, that purpose is not essential since mass production is not the goal. Did you know because of the demand for hybrid seeds to create a ton of production, all farmers are now paying more for more yield? You will be paying hidden costs regardless, so it is wiser to purchase better quality heirloom seeds that supply your family and customers with better taste and healthier food. Big picture thinking! It’s exciting to know that these tiny heirloom seeds have a story. 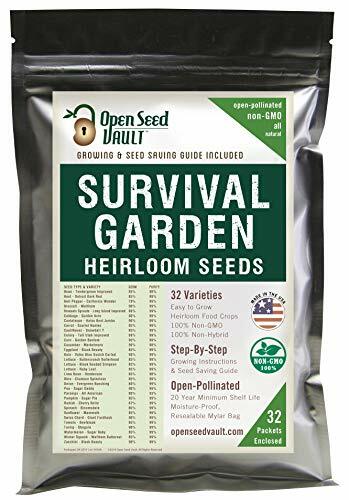 Passed down from generations, you will rarely find an heirloom seed that is less than 50 years old. Many of these seeds have come over to the US through the wonderful farmers that have made this land their own. That means the history of these seeds can be traced back to other countries, past centuries, and gardeners from different times. What a cool thing to know you are using something that holds value. Another beautiful thing about heirlooms is how they work the same as all the rest of nature. There is no exact science here, meaning the yield from these seeds does not all ripen at the same time. When it comes to the commercial growers, they are all about getting the most consistent and highest return for their work. When you are gardening in your backyard or small farm, you don’t have the same needs. It’s okay if there is a more gradual production. This simply means fresher produce! Heirloom seeds have a free flow adds a bit of quirk to them, and this shows nature is doing what it does best: surprising us in the most pleasant of ways. 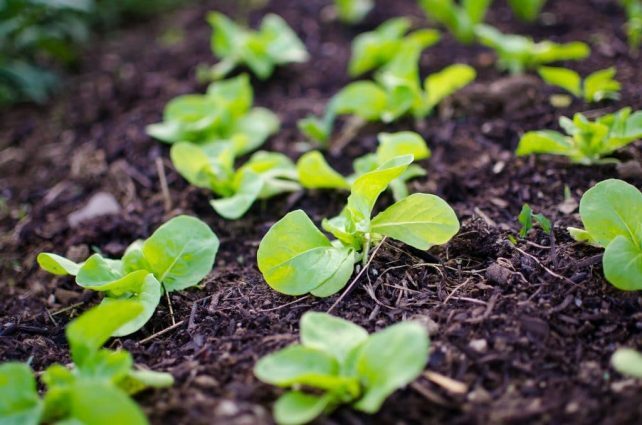 For heirloom seeds, the typical issues people have with their yield are usually eliminated. When it comes to pests and diseases, heirlooms withstand these and more, especially with small farm care. As you turn hybrids into your own seeds, they will give you much return with their ability to be reused and in not having to do much of the legwork. These remain true to their original type and allow you to add your own personal touch. How long seeds last depends on the expiration date on the packet and how well they were stored before planting. Seeds must be under stored 50 degrees with low humidity. A cool, dark place like your refrigerator is perfect. The average years of viability in the chart above reflect those storage conditions. If you store seeds in less than ideal conditions, they may not last as long. If you store them in even colder temperatures (like in the freezer), they may last even longer! When it’s time to use seeds that have been in storage for a year or more, it’s a good idea to do a germination test. 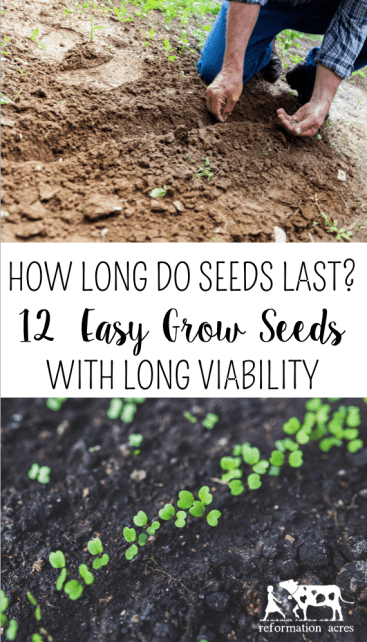 It’s easy and will give you an idea of how much you should over plant to plan for those seeds that simply won’t sprout. After you notice them beginning to sprout, give it another day or three. The number of seeds that sprout tells you what your germination rate will be. So if 5 seeds sprouted, your germination rate is 50%. Plant double for the number of plants you need to grow. 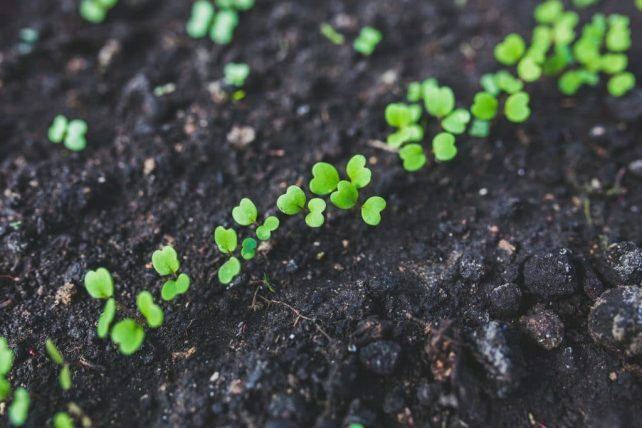 While seeds that have been in storage for over a year may very well be viable, there is a chance they may not be as vigorous as they would have been if they had been grown when younger. (That’s why the packets have expiration dates.) While it seems wasteful to throw seeds away, you’re probably saving more in the long run by not fighting to keep a week seedling alive. It’s just as frustrating investing all of that time and effort into starting your seedling only to lose it after a while. Keeping good homesteading records, including an inventory of your seeds, is another part of homestead management that makes the simple life easier! It saves you a ton of time by not having to sift through seed packets. Or trying to remember when you purchased the seeds. When it’s time to make purchases in the winter, simply reference your Seed Inventory sheet and know exactly what you have in storage and what you’ll need to buy. 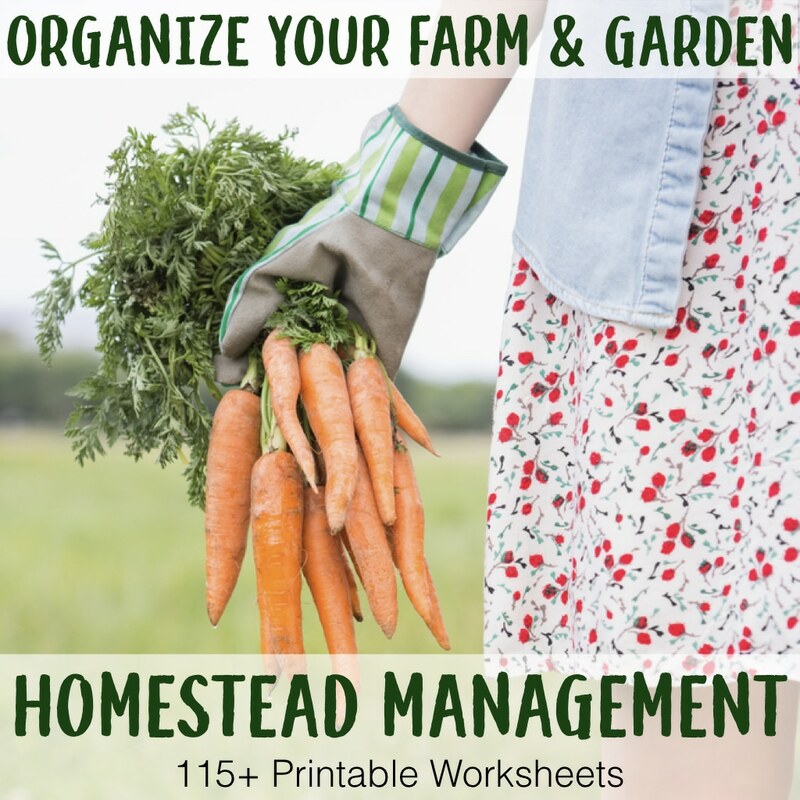 Seed Inventory and garden planning worksheets are part of the Homestead Management Printables! 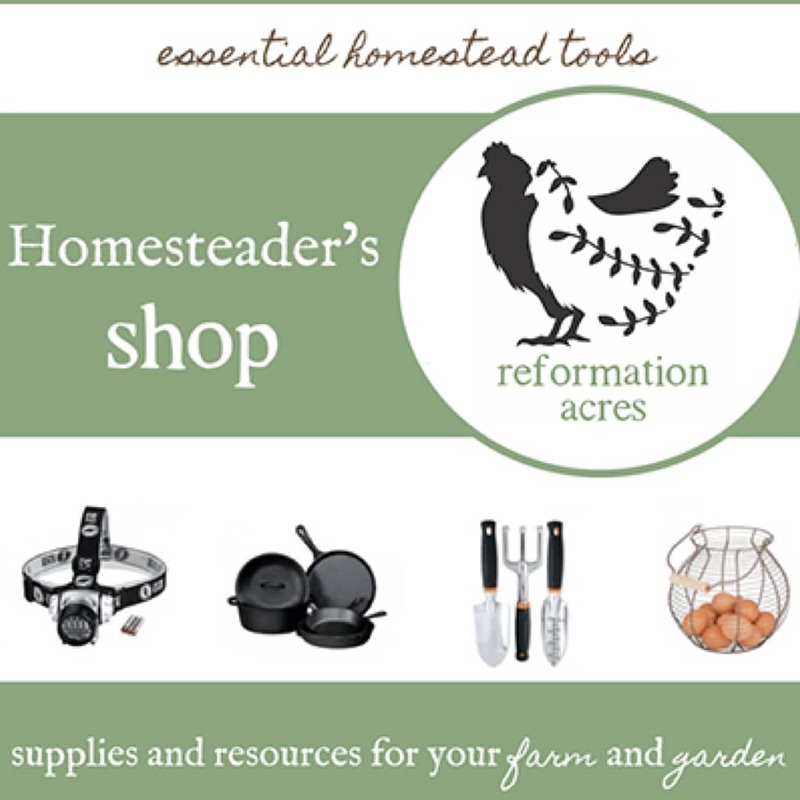 Load your Homesteading Binder with them today as part of your homestead management strategy. 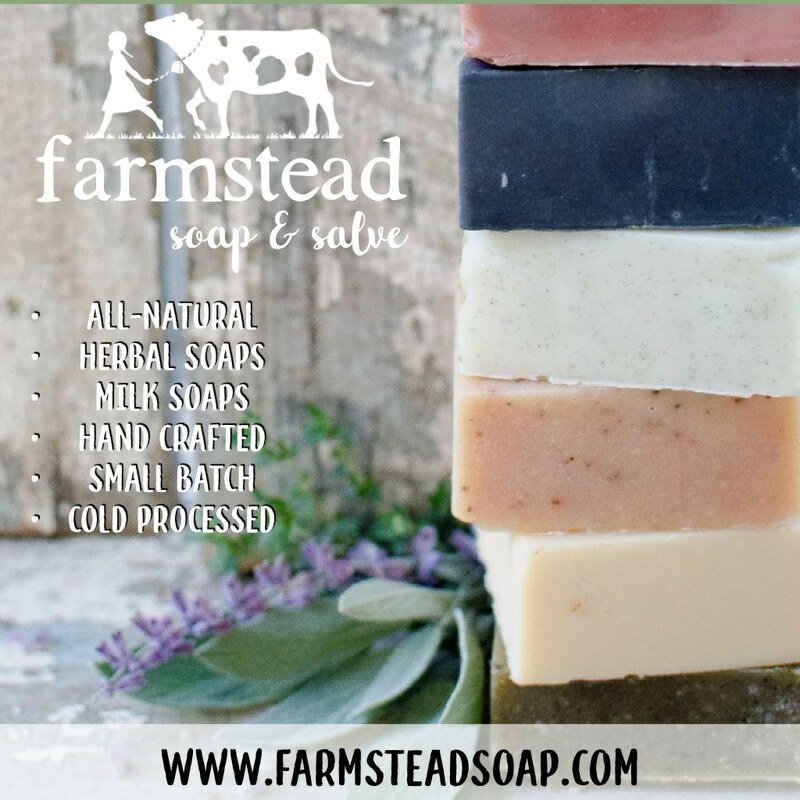 You’ll be amazed at how much keeping homestead records will give you a better overall picture of the health and efficiency of your homestead. 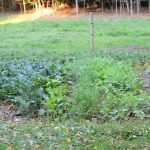 The discussion in this article is specifically geared towards vegetable plants you will eventually eat. But there is another type of gardening. Gardening of flowers and herbs! Many people enjoy gardening flowers and herbs either separately or along with their produce. If you are one of those people, you may have never considered that the length of time those seeds last is different then let’s say a tomato seed or a radish seed. Annuals last about 1-3 years. Perennials last about 2-4 years. Heirloom seeds are an excellent alternative to hybrid seeds. They are proven, tried, and true seeds that will outserve you in the long run. With a long history of working well, heirloom seeds are especially great if you have a home farm or do not work as a commercialized farmer. 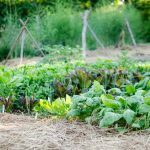 There are plenty of heirloom seeds with great vitality, and we hope this article has helped to educate and inform you on some of the vegetables you can grow with them! What are your favorite vegetable varieties?